As the nation prepares for a new president, President-elect Donald Trump and his transition team are in the final stages of picking the personnel to shape and enforce agriculture policy. During the campaign, candidate Trump created an agriculture advisory panel to aid him with issues in this space. Republican Governors Terry Branstad of Iowa, Sam Brownback of Kansas, Jack Dalrymple of North Dakota, Dennis Daugaard of South Dakota, Mary Fallin of Oklahoma and Pete Ricketts of Nebraska were included on a list of advisors distributed by Trump’s campaign and have continued to advise during the transition. Without question, there will be major changes to agriculture and regulatory policy under the new Trump administration. During the campaign, Trump pledged to keep ethanol subsidies (RFS), to separate SNAP from the Farm Bill, and to eliminate the “Waters of the United States” rule. The EPA’s Waters of the US rule, the Department of Labor’s overtime rule, and GMO labeling will all be scrutinized for changes. A major boost in US ag exports from TPP will not likely happen. However, there will be both a strong possibility of trade friction with China and potentially a move to rework NAFTA. 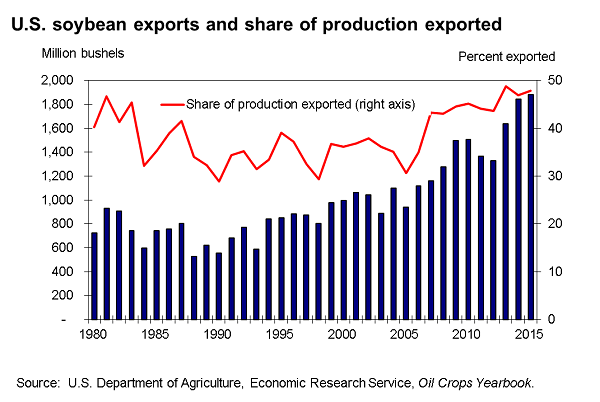 This would impact four out of the top five markets for US ag exports: Japan, China, Mexico and Canada. Congress will begin work on the 2018 Farm Bill. Also, any substantial consolidation within the food industry will receive a close examination for anti-trust enforcement by federal agencies. Immigration will likely get attention as a Trump priority. Components of Trump’s immigration policy include: building a wall on the Mexico-US border, enforcement of all immigration laws, and reforming the immigration system. What follows is an overview of the specific targeted areas and the critical players involved. Given there will likely be delays in nominating the head of the USDA, the Trump administration will find it challenging to have an immediate impact on the agriculture sector. However, there is a sea change coming for regulations and tax reform. 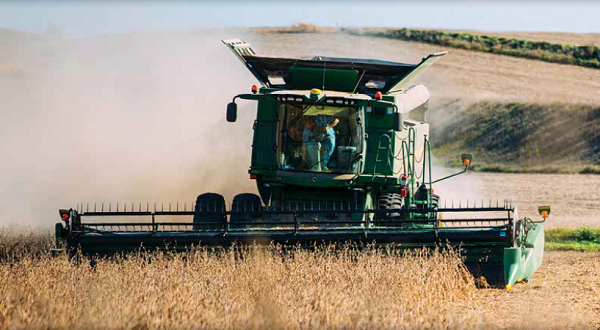 In anticipation of these changes, many key agribusiness stock prices have moved higher. Below is a weekly 3-month chart for Agrium, ADM, Tractor Supply Company, and Deere & Company showing strong increases since November 8th. Below is a list of some key positions in the Trump administration (and nominees if announced), regulatory agencies, and Congressional Committees involved in the agriculture sector. Kill the Trans Pacific Partnership (TPP) trade deal. Impose 35% tariff on imported autos and auto parts from Mexico. Impose 20% tariff on imported goods. Impose a 15% tax on outsourced jobs. Declare China a currency manipulator and begin the process of sanctions. Also, he has mentioned a willingness to pull out of the World Trade Organization (WTO) and 20 current free trade agreements. As decreed by the US Constitution and Congress, the office of the US President has tremendous leeway to negotiate trade agreements and to place tariffs on goods. To leave NAFTA, Trump can simply provide 60-day notice to Canada and Mexico of his intent to withdrawal. Regulations. During the Obama administration, regulations are estimated to have cost $743 billion and required 11.5 billion in work hours (American Action Forum). During the campaign and after, Trump pledged to reduce the regulatory burden on US business. At his acceptance speech for the Republican nomination for president, he said, “We are going to deal with the issue of regulation, one of the greatest job-killers of them all. Excessive regulation is costing our country as much as $2 trillion a year, and we will end it very, very quickly.” A President Trump, on his first day in office, can also declare a moratorium on all new regulations, as President George HW Bush and President George W Bush did. For the agriculture sector, the EPA’s “Waters of the US rule,” which dictates which waterways come under the Clean Water Act, is particularly troublesome and a good example of what can happen under a Trump administration. In a September speech, Trump called for eliminating the rule and declared it as among the federal government’s “most intrusive regulations.” Sen. John Hoeven, (R-ND) said there are three ways to repeal the rule. Congress could rescind it legislatively next year. The new administration could rescind it through the rulemaking process. The Sixth Circuit Court of Appeals could strike it down. There is a fourth way: the new head of the EPA can simply choose not to enforce the rule and tell the agency regulators not to pursue it or to slow-walk any enforcement of it. The Clean Power Plan and the Paris Climate Agreement are two additional environmental regulatory structures likely to come under review. On his first day in office, Trump can roll-back President Obama’s immigration executive orders and direct federal enforcement agencies to step up deportation orders and immigration laws. Trump’s nominee for Attorney General, Jeff Sessions, is a well-known immigration hard-liner. For agriculture, both processing and production are heavily reliant on an immigrant workforce. New restrictions on this workforce would likely significantly affect rural ag communities. Also, the American Farm Bureau Federation said that in 2016, farmers applied for a record number of guest worker visas and the H2A program has doubled over the last 10 years. At the annual AFBF convention, USDA economist Tom Hertz said Mexican immigration to the U.S. has been declining since 2007, and the number of Mexican-born people in the U.S., legally or illegally, has dropped from 13 million to an estimated 11.7 million in that time. Clearly, immigration will be a difficult choice between fulfilling campaign promises and ensuring there are enough farm workers to bring in harvests.